This bat is so cute and fluffy, you just want to hug her to bits! Her lovely wings contain a mix of two fancy inks with a bit of gold sparkle in their depths, adding a beautiful sheen to the adorableness. It’s as if she went flying through some pollen, and it only stuck to her wings and ears. 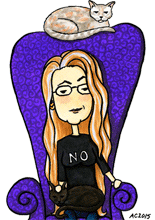 The background is still faintly scented of violets from the ink used to create the twilight she’s flying through, but it’s fading pretty fast. The apartment smelled like a packet of Choward’s violet pastilles for awhile there, though. 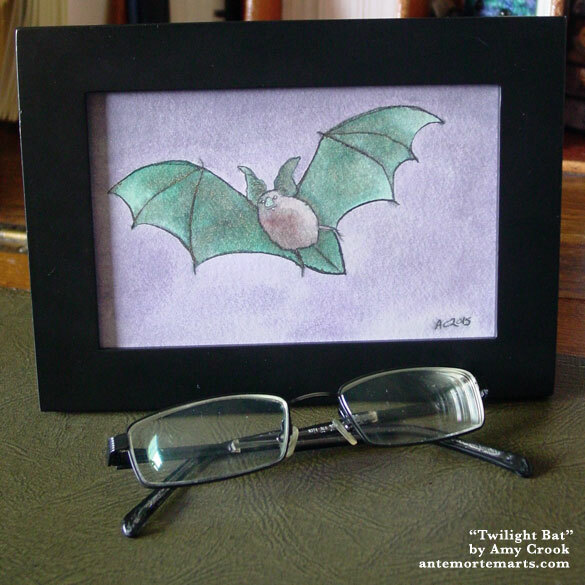 Where do you need to be a bit batty in your life? 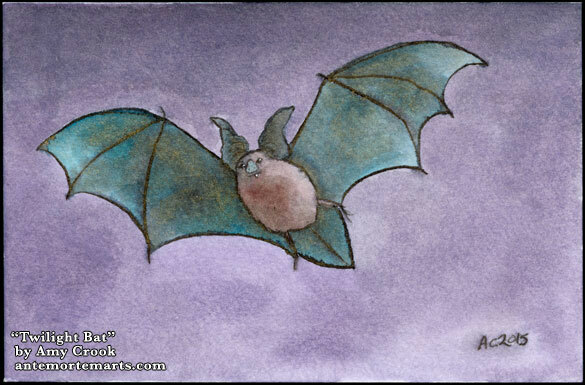 Twilight Bat, 6″x4″ pen & ink and ink wash on Fluid watercolor paper. 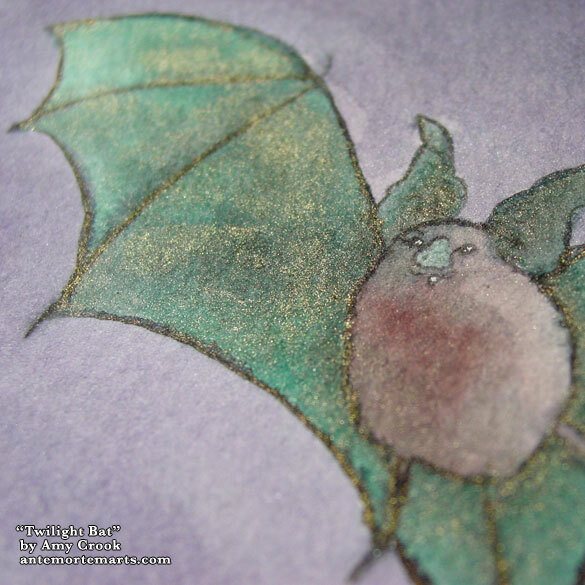 Above, you can see the shimmer of gold dust from the special edition ink in the bat’s wings. Below, you can see him in a frame, just waiting to fly to a new roost.